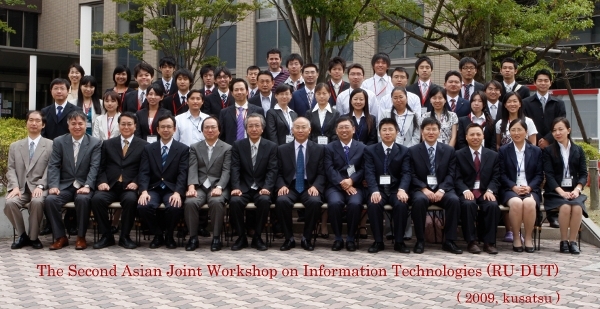 On 9-10 September 2009, the 2nd Asian Joint Workshop on Information Technology was held in Ritsumeikan University, BKC. This workshop aims to exchanging the knowledge in information technology and collabolation between Ritsumeikan University and Dalian University. The first joint workshop was hosted by Dalian University last year. Within two days of this workshop, I have a chance to meet researchers from Dalian University and to discuss my ongoing research. On the first day, Professor from Ritsumeikan and Dalian University gave their talk on the research topics and the students of Dalian University presented their work in poster session. Many research topics have been dicussed. 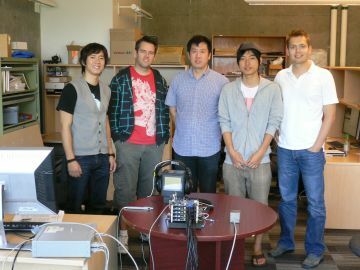 I, Ritsumeikan student, presented on the second day of the workshop. My presentation topic is “A Quick Filtering for Similarity Queries in Motion Capture Databases”. In this poster, I introduced on feature extraction and quick filtering methods in the similarity retrieval system. A representation of motion capture data is joint angles, which can distinguish different human body poses. I proposed a new technique for dimensionality reduction based the average and variance of joint angles. I have a great experience in this workshop not only to conduct my ongoing researches but also to create a social network from professors, researches, Ph.D. students. I would like to thank all people in GCOE program that support my research and Professor Kozabura Hachimura, who is my supervisor.